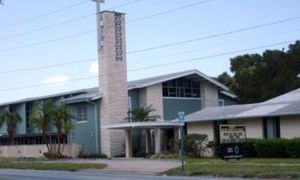 Welcome to Trinity United Church of Christ! Our services begin at 10:30 AM. If you are planning to a new visit to Trinity United Church of Christ or have visited before, WELCOME! We are delighted and honored that you are interested in our church! Wherever you are in your faith walk, we support you in your journey. We value each and every person and desire that they can grow in their relationship with God. At Trinity, we are comfortable with your questions and even doubts about the church and Christianity. More than a few folks have come to us after years of alienation from a church community or have never been in a church community before and so we recognize both the questions and discomfort. If you would like to talk with someone about your questions, or anything about Trinity, please email us at TUCCoffice@gmail.com or contact the ministry office at (727) 321-1088. Sunday mornings are busy at TUCC! 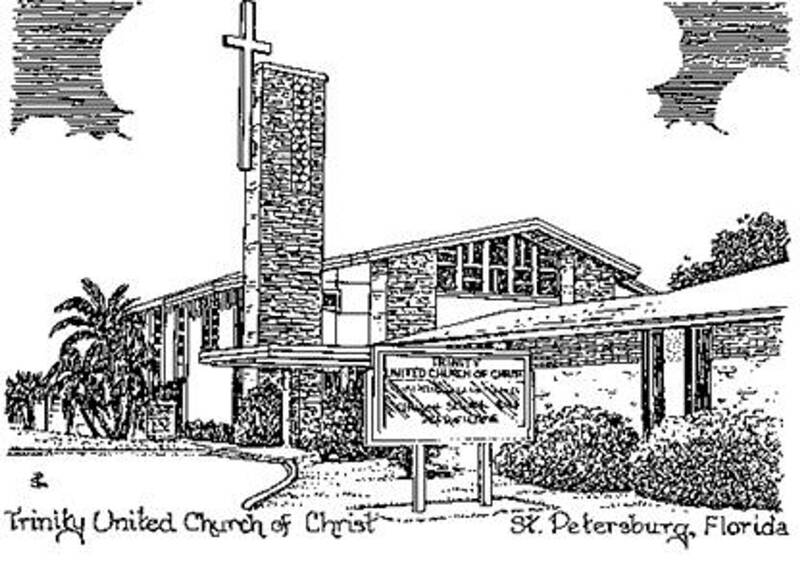 We are located at 1150 49th Street N., St. Petersburg and share our campus with three other churches, the Lao Christian Church of St. Petersburg, Anointed Word Fellowship, and Iglesia Pentecostal Cielos Abiertos. Handicap parking is available in the first row of our main parking lot immediately behind the church facility (between 11th & 12th Avenues). Come early at 9:30 AM for our "Spiritual Seekers" adult group which meets in Room 9. This is a group of curious indivduals who talk about everything! Sometimes the group is led by the pastor but many times it is led by a Trinity member or friend. Everyone is welcome and everyone is invited to contribute! If you are not into formal discussion groups, come early anyway for coffee in the courtyard. There's always a friendly group milling around the coffee table where you will usually find some goodies to snack on with your coffee. Trinity UCC Worship begins at 10:30 AM in the Chapel. The entrance to the Chapel is off the courtyard. When you arrive, please introduce yourself to one of the greeters and sign our guest book. The greeters will give you information about the church and explain the morning's schedule. If you are willing, we'd love to have you introduce yourself during the service. Our worship is "come as you are" and is a mostly contemporary worship experience with some traditional music sprinkled in. No need to worry "what comes next" as we have a printed bulletin of the order of worship and everything is also available on the large screen in the front of the Chapel to lead you through the service. Church Address: 1150 49th Street N.